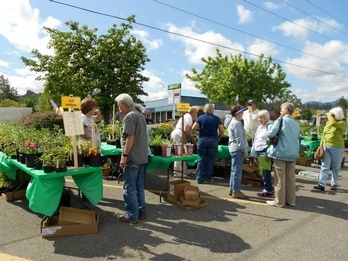 Find the perfect plant or art for your garden at the Grants Pass Garden Club's annual Plant Sale. A variety of annuals, perennials, bulbs herbs, vegetables, ground covers, shrubs, vines and trees will be available, along with our signature mini-gardens, unique garden gift items and yard art. Adding to the fun will be a raffle at 1:30 pm. Plant experts will be on hand to answer questions. Debit and credit cards will be accepted. Proceeds go to help local organizations, with this year's emphasis on forest restoration. For more information, call 541-471-7091.